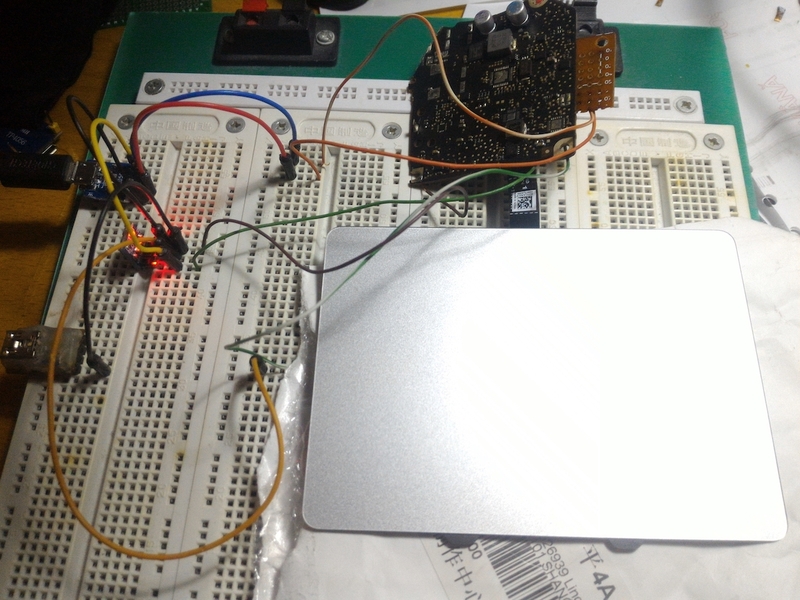 The touchpad till 2015 uses SPI or USB. 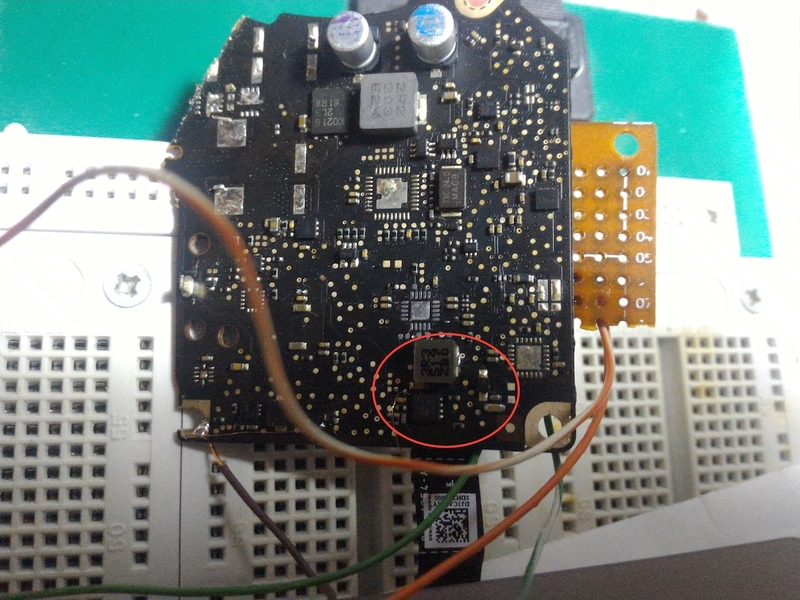 The toggle is done via an ACPI call.The CY8C24794 does the convertion from SPI to USB [datasheet].You need to connect TPAD_VBUS_EN on the CY8C24794 (pin 4) to HIGH to enable the USB communication. You will also need to LOW the buttons via BUTTONS_DISABLE so that you can actually click. 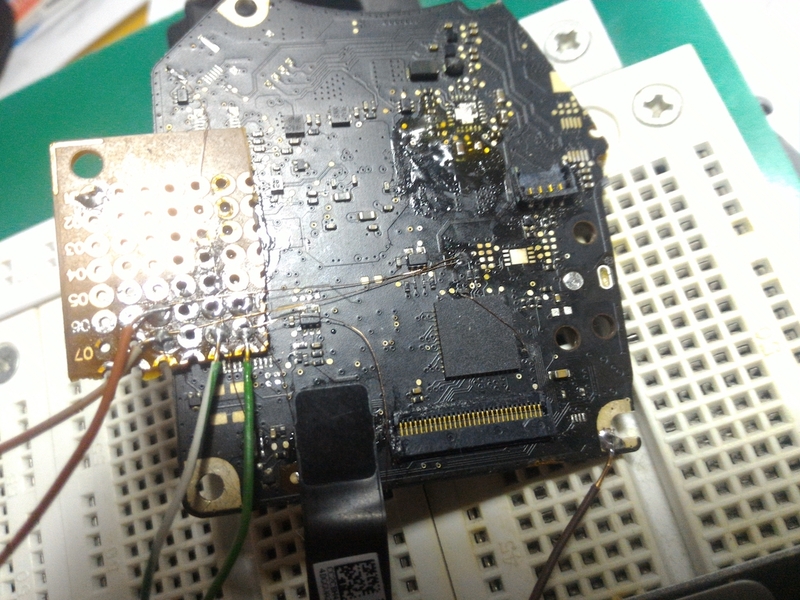 I used a LM1117 to power the CY8C24794 and the touchpad at 3.3v , and the 5v straight from USB to power the touchpad electronics and the boost circuit for the actual touch. The Motherboard part is recycled from a dead MB pro 2012. The main downside at this point is that the device is not connected to the SMC and will not show up in Preferences. To configure the device as a workaround you can use MagicPrefs or BetterTouchTool. 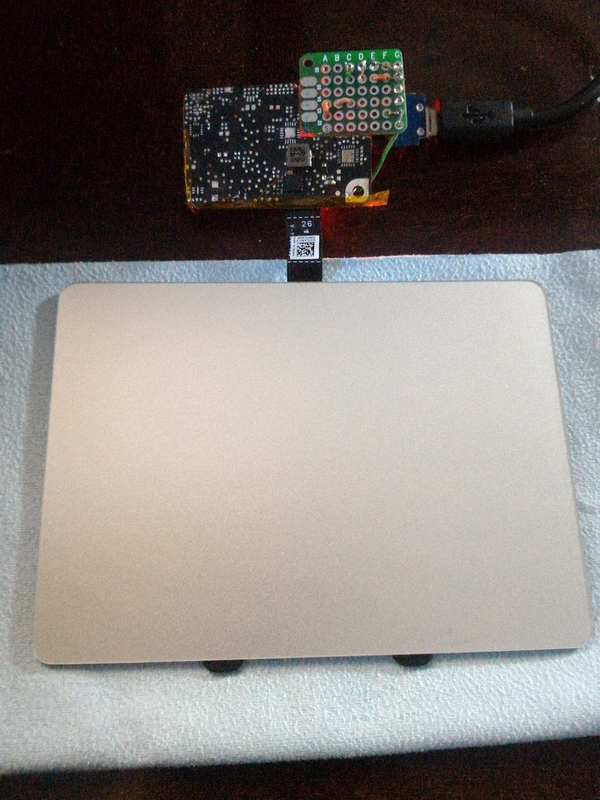 The final step will be to integrate and replace my touchpad with the macbook pro and develop a prefpanel for it. It might not be a good approach to sniff the I2C...the device functions OK, the access to the config part is the problem, either inject into FakeSMC somehow and see if that triggers the panel OR just do a PrefPane that will access defaults read com.apple.AppleMultitouchTrackpad directly. The only downside of using defaults is that you need to reboot for the settings to take effect.